Feed on her exotic beauty and her unconditional loving kindness. Be calmed by her gentleness and amused by her cleverness. Nobody walked away from her untouched. She really was special. So special in fact that she's the only cat I know who wrote her own memweowr! 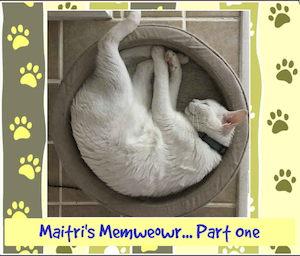 Join Maitri as she shares her adventures and take on life, from the deserts of the Middle East to the Midwest USA. Maitri's catpanions Lucy and Kiki love having their pics taken, so Maitri designed her own notecard line with her own paw print label. 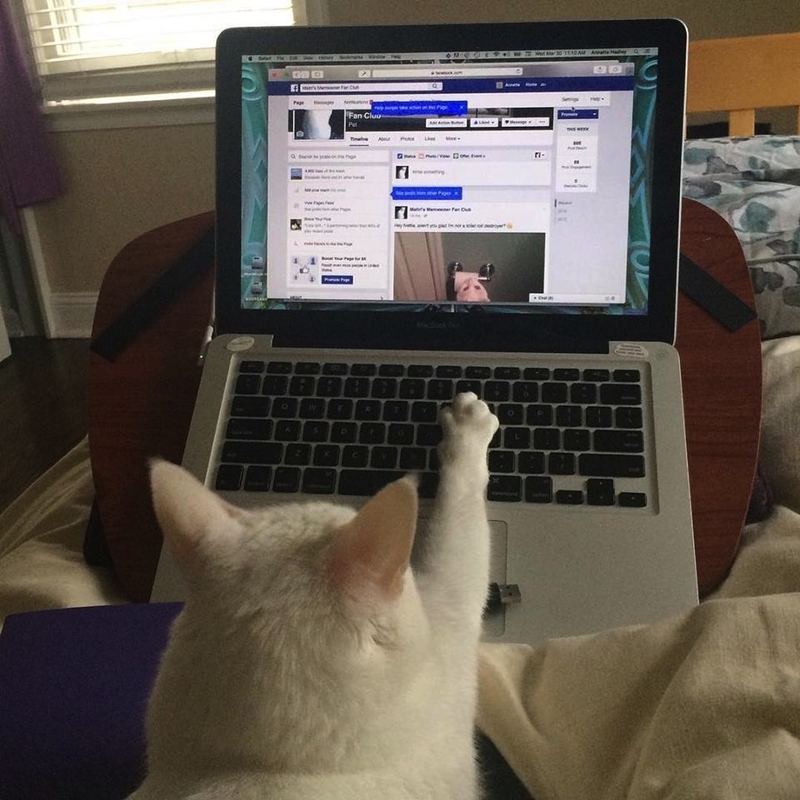 You can still follow Maitri, Lucy and Kiki on Instagram, Facebook and of course YouTube!